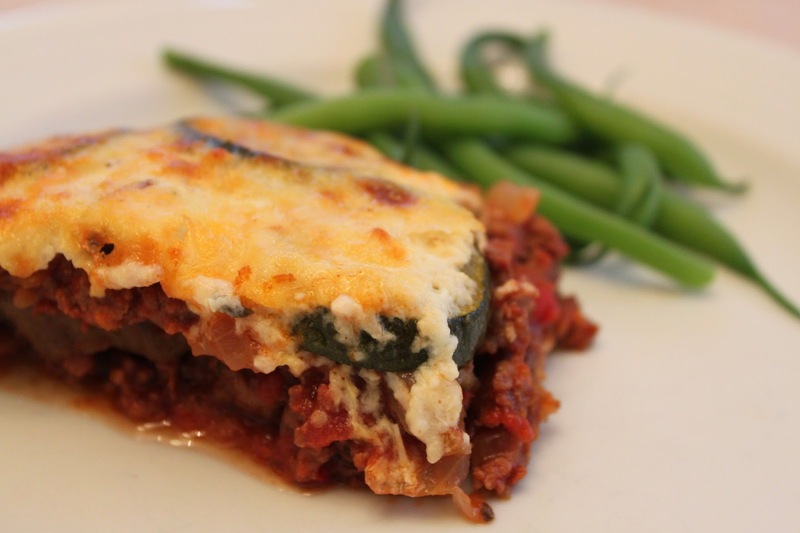 You may have heard of Moussaka in the film My Big Fat Greek Wedding. But what is Moussaka? It is perhaps the most widely recognized of all Greek dishes. Moussaka is, in essence, a baked dish made by layering aubergine (eggplant) with a lightly spiced meat filling using oregano, cinnamon & cumin. It is then topped with a creamy bechamel sauce that is baked to golden perfection. This aubergine (eggplant) version is the traditional rendition, however you can also potatoes, courgette (zucchini), or whatever vegetables you prefer. It's hearty and filling so you won't need many side dishes. I would suggest you serve with greek salad (made up of tomato, cucumber, feta cheese, black olives, red onion and a light olive oil dressing) and souvlaki or some green beans – delicious! If you're not intending of jetting off to Greece just yet, make a moussaka yourself at home. This yummy Jamie Oliver recipe serves 4. 1. In a large pan, gently cook the garlic and onion in 2 tbsp olive oil until the onion has softened. 2. Meanwhile, in a frying pan, heat 1 tbsp of olive oil and fry the mince until browned. Make sure you don't overheat the oil. Pour off any excess fat and add the mince to the onion and garlic. 3. Add wine, puree, chopped tomatoes, oregano, cumin and cinnamon stick. Simmer uncovered for 1 and a half hours, stirring occasionally. Remove the cinnamon stick and season to taste. Preheat oven to 190C. 4. Fry the aubergine slices in the remaining 2 tbsp of olive oil until golden on both sides. Season well with salt and black pepper. 5. Make the white sauce. To make, melt the butter in a pan. Add the flour, stirring until mixture forms a smooth paste. Stir in milk gradually, bring to the boil, stirring, and then simmer for 10 minutes. Take off the heat and stir in the nutmeg and, egg yolk, and parmesan. 6. Place a layer of aubergines on the bottom of an ovenproof dish (12x8 inch), followed by half the mince mixture. Add another layer of aubergine, the rest of the mince and finally a final layer of aubergine. Top with the white sauce. 7. Bake the moussaka, uncovered, for about 25-30. Stand for 10-15 minutes and serve with a greek salad or green beans & devour. Note: The wine gives depth of flavour & colour - if you can't or don't want to use alcohol then try adding some tomato puree mixed with a wine glass of water and a teaspoon of swiss bouillon, and blend in well. Ground cinnamon can be used instead of the stick if you prefer a more pronounced cinnamon flavour. I use a whole egg in the sauce - not just the yolk, and it's also nice (if not as authentic) topped with a mix of wholemeal breadcrumbs and cheese. I must admit, it doesn't look much but then again neither does lasagne!